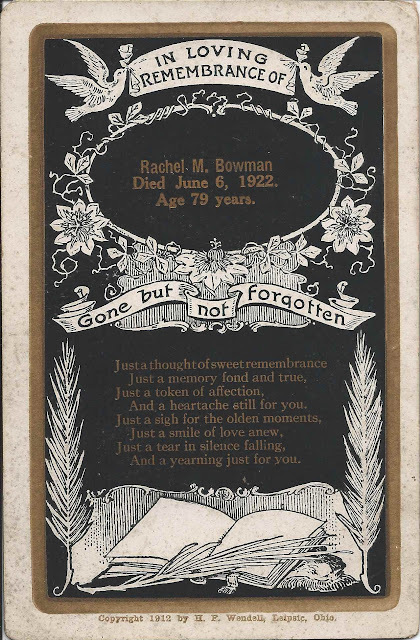 Memorial card printed on the occasion of the death of Rachel M. Bowman, who died 6 June 1922, Age 79 years. 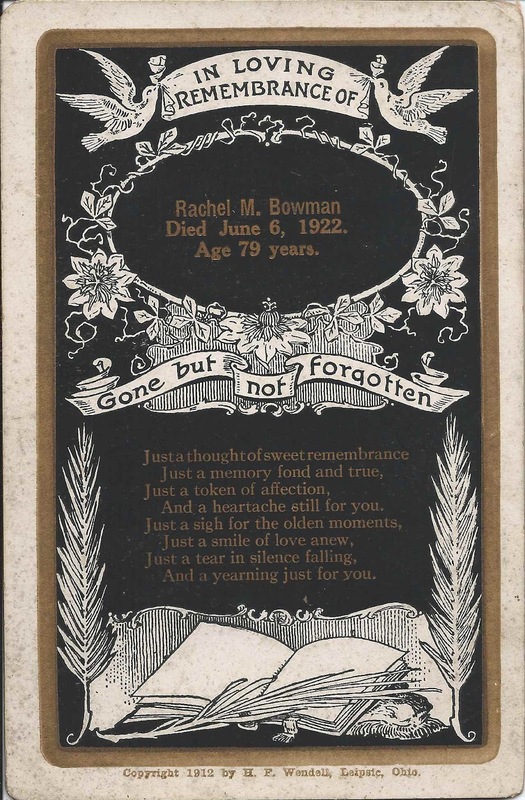 Rachel Matilda Griggs was born June 8, 1843 in Perry County, Ohio, possibly at Pike Township, where the family can be found in the 1850 Census. She was the daughter of Benjamin S. and Anna Maria (Struble) Griggs, who were both born in Sussex County, New Jersey. John W. Bowman died in 1920.